Man landing on the moon was a great achievement. That day, man went off to somewhere so far away that it was impossible to see them or be near them. It’s a little like death in that we can’t see our deceased relatives. However, the men who went to the moon came back, very much alive. Let’s make a yummy space-themed snack to celebrate this great achievement and remind us that those who are absent in body are still with us. They will show up again someday too”¦ to welcome us into the galaxy of heaven! 1. Peel the bananas and slice each in half from top to bottom, so that each child has one half slice. 2. Place half slice of banana flat side down on each plate. 3. Using a dull knife, snip the top of the banana on both sides to make a point at the top of the rocket. 4. Use the knife to make the bottom of the “rocket” flat. 5. Cut pineapple slices in half and then place each half on the sides of the bottom of the banana to represent the wings of the spaceship. 6. Add a spoonful of marshmallow fluff or stream of whipped cream at the bottom of the space ship for steam and smoke. 7. Have class count down, 10, 9, 8, 7, 6, 5, 4, 3, 2, 1 and EAT. While we’re enjoying our yummy rockets, let us remember that the moon is far, but we can go farther! When we die, we can go all the way to heaven, which will make the dark trip to the moon fade in comparison to the glory of the light of God! 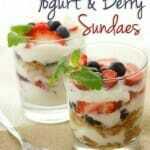 You might also be interested in these snack ideas! Looking for more snack ideas for your kids? Then don’t forget to Become a Fan on Facebook, Follow Us on Twitter and Come Hangout with Us on Google+! 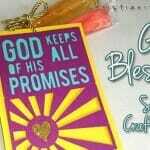 “God’s Blessings” ““ A Summer Snack with a special message! 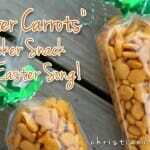 “Easter Carrots” Cracker Snack & An Easter Song! Mary Kate!! You’re one supermom, arent you! Which kid would not love them rockets!! Fun ! Thank you for coming to the party with us. Your contributions are always wonderful. Pinned! Will you come party with us again later today/tomorrow?! Have a great weekend, Rose, FineCraftGuild, organizer of SHARE IT! These are just adorable. I love giving the children fun foods to eat. Thanks for sharing. 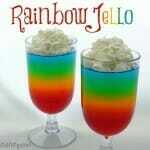 What a fun and yummy snack idea! 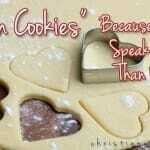 Thanks for sharing with the Preschool and Kindergarten Community Weekly Link-Up! Oh my gosh, this is too cute! 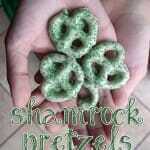 Love it and awesome that it’s a healthy snack! Thanks for sharing with SYC. thanks for sharing on our bowdabra Saturday Crafty Showcase!! 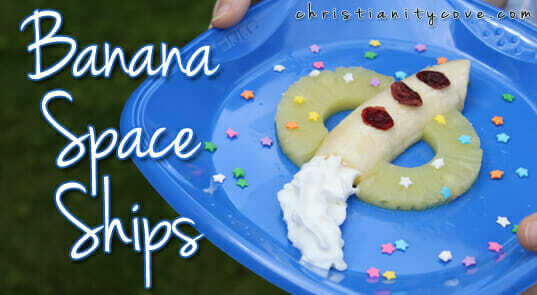 Your Banana Spaceships are just adorable! 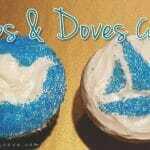 Thanks so much for sharing your post with Full Plate Thursday. Hope you are having a great day and come back soon! 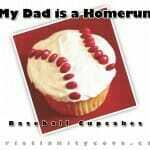 This is too darn cute! Made me smile that’s for sure!! Thanks for sharing with SYC. These are too cute! Thanks for sharing at Merry Monday, hope to see you again tomorrow night! What a creative and fun snack for kids!